After studying Mathematics at the University of Rennes 1, I obtained a master (1988) and a Ph.D. in Computer Science (1991) in the IRISA/INRIA laboratory, in the ADP team, under the supervision of Claude Jard and Michel Raynal. From 1991 to 1992, I was a research engineer in the Alcatel research lab in Marcoussis near Paris. In 1993, I came back to IRISA/INRIA as an INRIA research scientist (Chargé de recherche) in the Pampa team where I did my research work for 8 years. I obtained my Habilitation from University of Rennes 1 in March 2004 (text , video , slides). From 2001 to 2012, I was the scientific leader of the VerTeCS team. From 2011 to 2015, I was te Vice-Chairman of the projects committee of Inria Rennes - Bretagne Atlantique and member of the Inria Evaluation Committee . 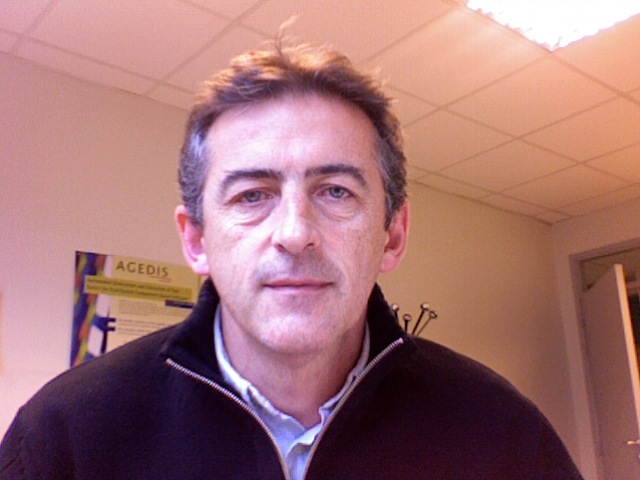 Since 2013, I am a member of the SUMO Irisa/Inria team headed by E. Fabre. My (now obsolete :-) CV. Model-based testing: models and theory for conformance testing of reactive systems, automated test case synthesis with symbolic techniques for diverse models, with data, time, recursion. Diagnosis of Discrete Event Systems: models, theories, algorithms for the construction of diagnosers, verification of diagnosability. Monitoring and enforcement of timed properties. Security: security testing, diagnosis for intrusion detection. Verification of asynchronous communicating systems with approximate analysis. Most cited publications according to Google Scholar, and citations in CiteSeer. TGV is a test generation tool for models of labelled transition systems (LTS). The generation of test cases is guided by a test purpose (an automaton) and is based on "on-the-fly" co-reachability analysis of enumerated transition systems. STG is a test generation tool for models of transition systems extended with data variables and parameters (STS). Test generation from a system model and a test purpose is based on syntactic transformations of STS using approximate analysis (provided by the NBAC tool). University of Rennes 1, Master 2 Research in Computer Science (2002-2012): Model-based testing. University of Rennes 1, Diic 3 (Engineers) (1994-2003): Protocol validation, model-checking and testing. Valery Tschaen (2001-2005, with H. Marchand ): Control synthesis and conformance testing, teacher. Pierre Morel (96-2000): Efficient algorithms for the generation of conformance tests, Mitsubishi Rennes. Yves-Marie Quemener (93-96): Verification of protocols with infinite state spaces using graph grammars, Orange Labs team manager, Lannion.